Located in Los Angeles, Alhambra is a thriving community that was incorporated in 1903. The community includes a population of at least 83,089 (according to 2010 census) and these people amounted to 29,217 households with 99.3 percent of the total population living in households. 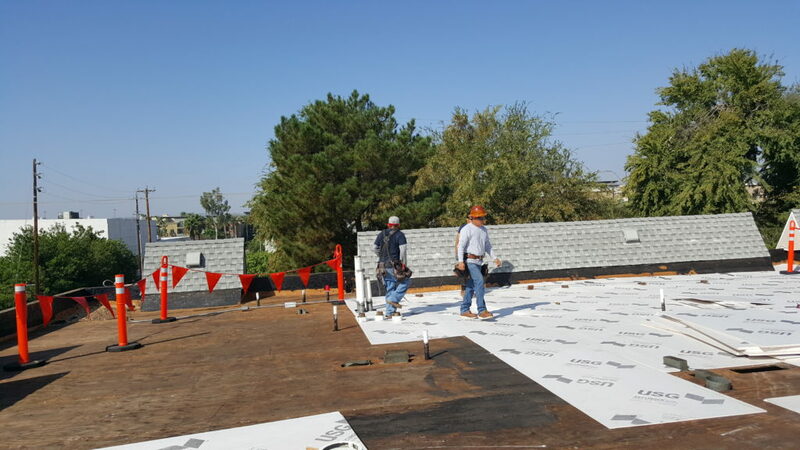 Since this is a community that has been growing gradually, construction work has been at its peak lately and homeowners have sought the help of experts in different specialties including roofing. Getting the right experts for roofing is one of the concerns that the residents of Alhambra currently have. If you are a homeowner in Alhambra and would like to get experts to fix your roof, here are few things you should consider. The first thing that will come to your mind when your roof starts leaking is to get the nearest roofing contractor. But this does not give the assurance that you would get a service which guarantees a permanent solution to your roofing problem. One way to ensure you hire the right contractor is to ensure you observe a few considerations that could help you know whether the contractor is fit to work on your project. Here are few points you might want to look into before hiring. Your reputation is something you should work hard to protect and when you have workers in your compound who are not licensed or insured, that is a sure way to jeopardize your reputation. The reason licensing is important is to ensure you are dealing with people who are recognized by the law in the first place. In the event something goes wrong and you choose to pursue legal action, your effort would be wasted if the contractor you are working with is not licensed. Additionally, licensing also pushes the contractor to implement the project agreement to the letter since they are bound by the law. Insurance is also something you should take note of before hiring a roofing contractor in Alhambra. In the event one of the workers gets in an accident and sustains injuries while working in your compound, you could get yourself in suits if the individual is not insured under the roofing company they work for. Insist to see proof of licensing and insurance as these are two points of engagement that determine how your relationship will end. Another thing as a resident of Alhambra you should consider when choosing a roofing contractor is experience. Check to see the number of years the company has been in business and the reputation it has earned in that period. You could query the performance of the roofing contractor by reading reviews about them posted by previous clients as well as checking the BBB. Bottom-line is that an ideal roofing contractor should offer more than just basic repair or installation. They should also be open to handle maintenance work and should also be ready to build a beneficial relationship with you. Choosing such a contractor assures you to get better value for the money you invest as quality excellence is their core commitment.